One of the biggest “pain points” I have when starting work on a publicly released WordPress theme is coming up with a suitable name. 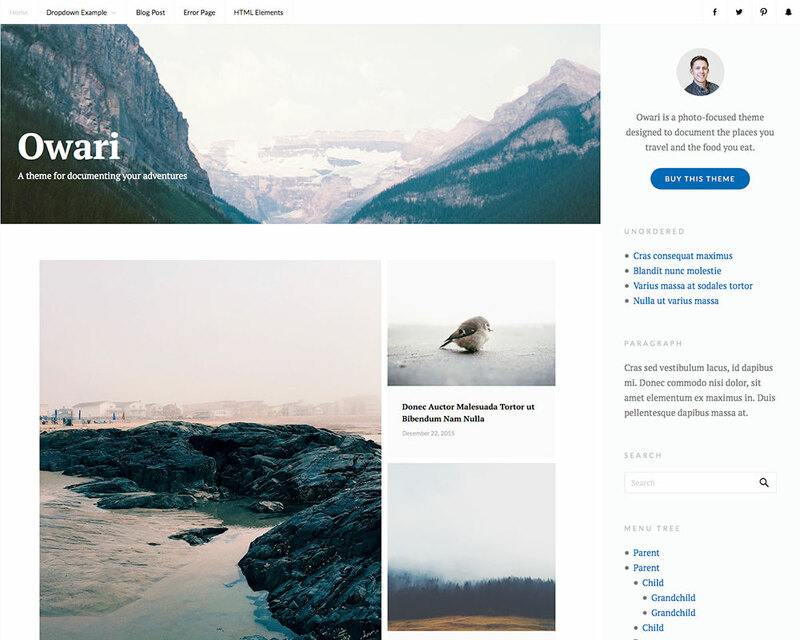 It can’t conflict with any of the thousands of free themes on WordPress.org, because theme updates could get potentially screwed up. And you wouldn’t be able to submit it with that name to WordPress.org. It can’t conflict with any of the thousands of paid themes on ThemeForest and elsewhere, because the author will likely find it and send you hate mail. It can’t be the name of a well-known, trademarked business, because the trademark owner might find out and sue you. Many popular first names are already accounted for. So naming a theme after a friend or family member many not be an option. Same with commonly-used English words. Naming a photography theme “Snap” or a writing theme “Scribe” isn’t going to work. But when you realize all the different types of names that are off the table, it can actually be kind of liberating when you realize what’s left. We talked about how commonly used English words are probably taken. But commonly used non-English words probably aren’t. I’ve used this tactic when naming themes before. The problem with the name “Kitchen” is that three WordPress themes, each from different authors, already share that same name. 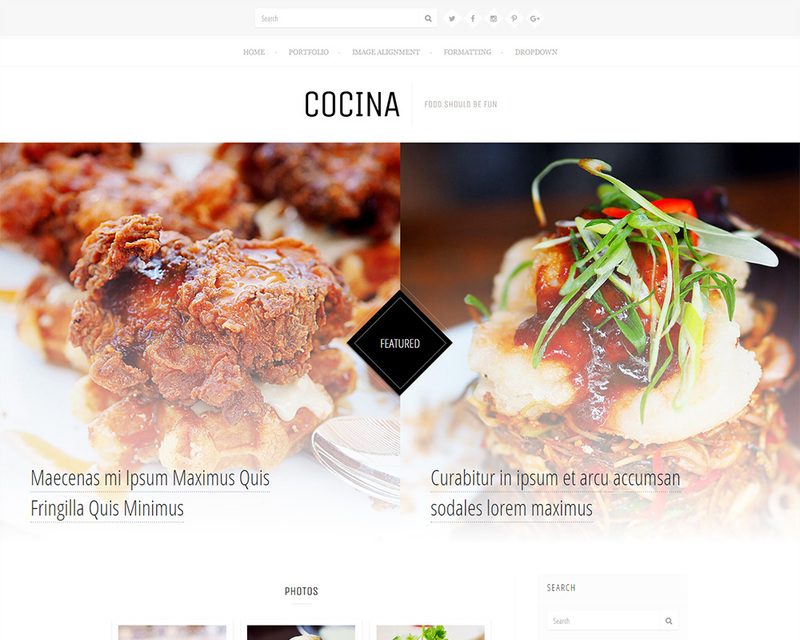 Google “Cocina WordPress theme” …no notable results. 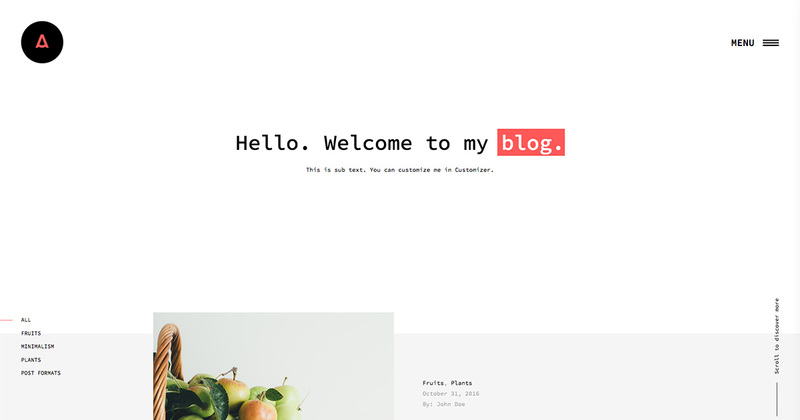 Check to make sure no theme was ever named “cocina” in the WordPress.org Themes Trac …nothing. So I went with Cocina. Honestly, I think the name has a better ring to it than “Kitchen” anyway. If not Spanish, I’d look at other Romance languages for naming ideas. But not so uncommon that it’s difficult to spell, remember, or pronounce. I probably wouldn’t name a theme “Pterodactyl,” the name of the winged dinosaur, just because of spelling difficulty. Themes should still be thought of as miniature “brands” and the same general rules of naming still apply. A real life example is how the Arroyo theme was named. The original working title was actually “River” because of the free-flowing nature of the posts. 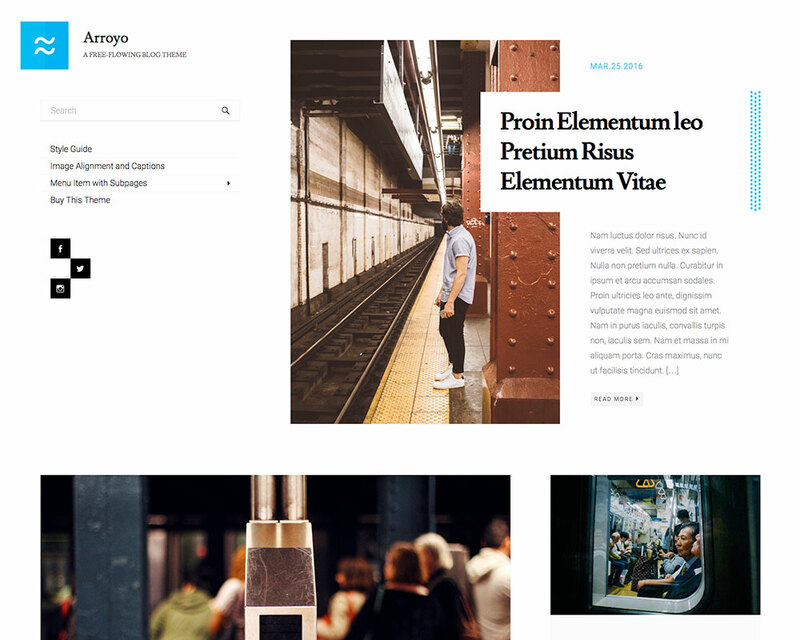 Since that name was already used by a “Retina Multi-Purpose WordPress Theme” for sale on ThemeForest, I looked for alternatives that weren’t already used, but still had a similar meaning. While a basic thesaurus is a good place to start, but that’s not where I ultimately found the word “arroyo.” Sometimes, you have to dig a little deeper. …I knew I’d found a winner. The Adonia theme was originally titled Amanda. “Amanda” is the name of a “Responsive Admin Template” for sale on ThemeForest, and “Amanda Lite” is the name of a free theme distributed on WordPress.org. So I went to a baby name website (there are plenty of them online) and started searching through names beginning with A. And that’s how I landed on Adonia. For the record, when I say “obscure” …I mean I can’t find an existing WordPress theme with the same name. So if you have the same name as one of my themes, I mean no offense. The examples thus far were names based on working titles chosen by someone else. A direct translation and synonym, respectively. But what if you have no idea where to start? The world is a big place, and there are plenty of towns and cities with catchy names that have not been used for anything else but that. Some of these locales have populations greater than 100,000. Like the person name example, I just consider it obscure when the names are rarely used for anything else. I usually browse through this list of Italian town names for theme name inspiration. Vivaro and Bari are both names of Italian towns. If you really want to dig deep, look at places that don’t even exist anymore. For example, Owari was the name of a Japanese province that since went defunct. Right off the bat, avoid anything with “WP” or “Theme” in it. We know it’s a WordPress theme, so it’s redundant to incorporate those as components of your theme name. For that reasoning, they wouldn’t allowed on WordPress.org. Also, [Keyword]Press has got to be the most unoriginal, uninspired naming scheme in the WordPress world, so avoid that too if you can. Make sure your theme names are unique, memorable, and ideally…just one word long. There are plenty of unique theme names out there, if you know where to look. Great tip about checking the WordPress Theme Trac. I didn’t realize checking wordpress.org/themes/theme-name could be a false positive. In my opinion, it’s important to have a name locked down before the design process begins as it influences the design path. At least that’s been my experience. Especially a short word vs. a two word theme name. Naming has always been a challenge for me, too. I’ve kept a list over the years of things to pull names from. For example, car models, magazine titles, president names, locations, baby names, verbs, etc. I’d bet the challenge of naming is one reason WordPress uses the year name for it’s bundled themes. Love the content you publish here. Naming a theme is definitely part of the process, so thanks for sharing your way of going about it.